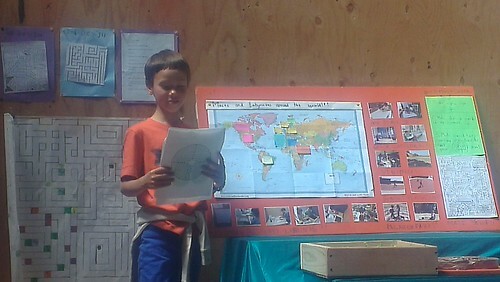 Norabelle, Bruno, and Natasha presented all their hard Maps work today with three great presentations! Bruno started us off by explaining the origins of his project and his big question, “What is the difference between a labyrinth and a maze?” He described the field trips he took with Norabelle and the process he took in creating his finger clay maze – inspired by a finger maze at Grace Cathedral – and his succulent plant maze – inspired by his interest in corn field mazes. 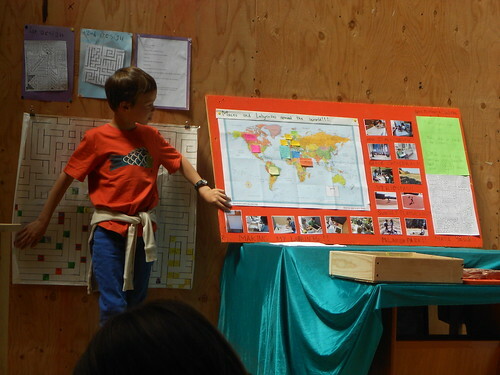 He talked about various types of mazes around the world and said he would be most interested in visiting a water maze, which he learned can be found in the United Kingdom. 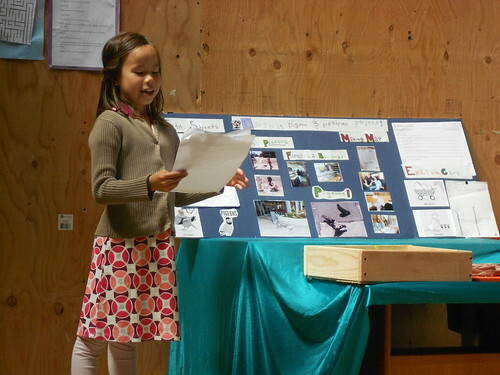 Norabelle described the field trips that she and Bruno went on to learn about labyrinths. 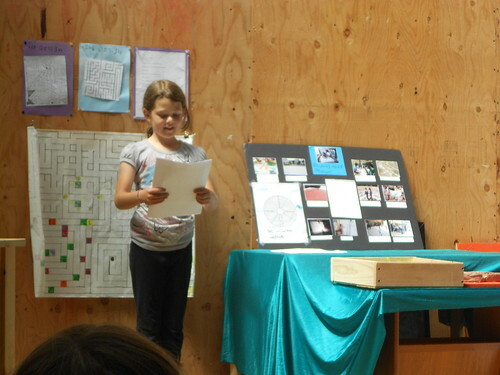 They visited labyrinths at Grace Cathedral, McLaren Park, Sunset Playground, and Veriditas in Petaluma. 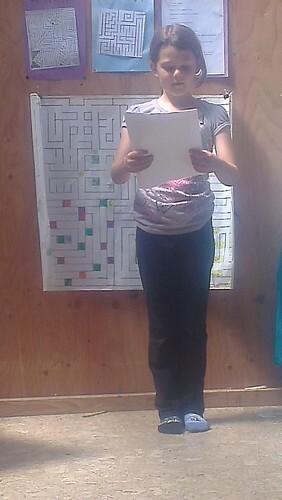 Norabelle told us about the different parts of a labyrinth and that they represent aspects of life. She explained that her favorite part about the difference between mazes and labyrinths is that one is designed to trick you and the other is to help you find your way. She talked about her final project, a big maze painted on canvas, that was inspired by visiting expert Ulrica’s floor-sized labyrinth. Natasha told us all about the map she made called “Natasha’s Pigeon and Pastry Project” based on the questions “Do bakeries and pigeons relate?” and “Is there a pattern for where people placed their La Boulange locations?” She talked about her visits to five different La Boulange cafes around San Francisco to observe the pigeon activity and whether the birds like regular butter croissants or chocolate croissants more. She discovered that pigeons have their preferences, just like humans! 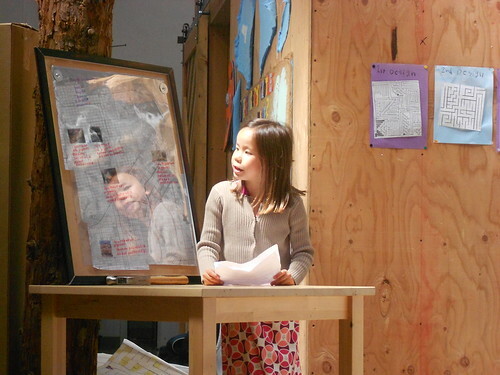 She showed us her beautiful map of San Francisco where, inspired by Stamen design, she had layered the information she gathered on three huge transparency sheets.